HAEAHN architecture is a korean practice based in seoul. the firm was founded in 1990, and recently opened a branch office in iraq. 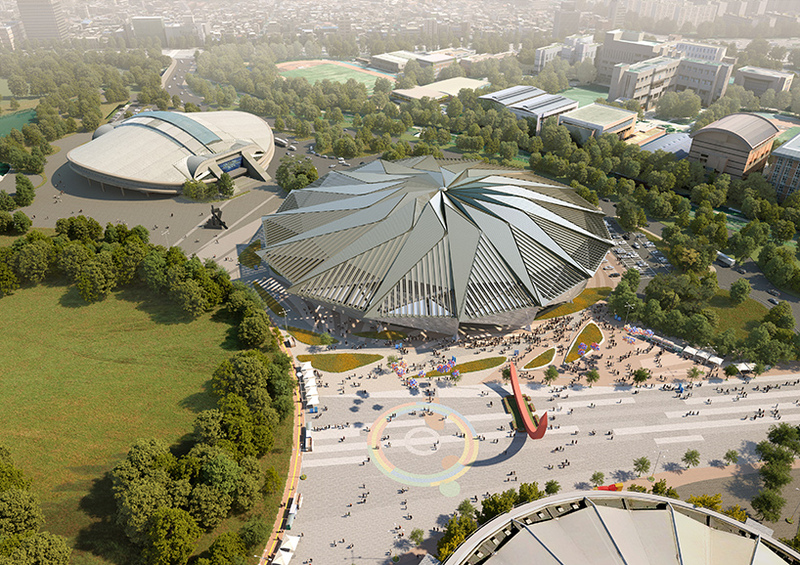 in collaboration with H architecture, HAEAHN has won a national competition to complete the renovation of the 1988 olympic gymnastics arena. 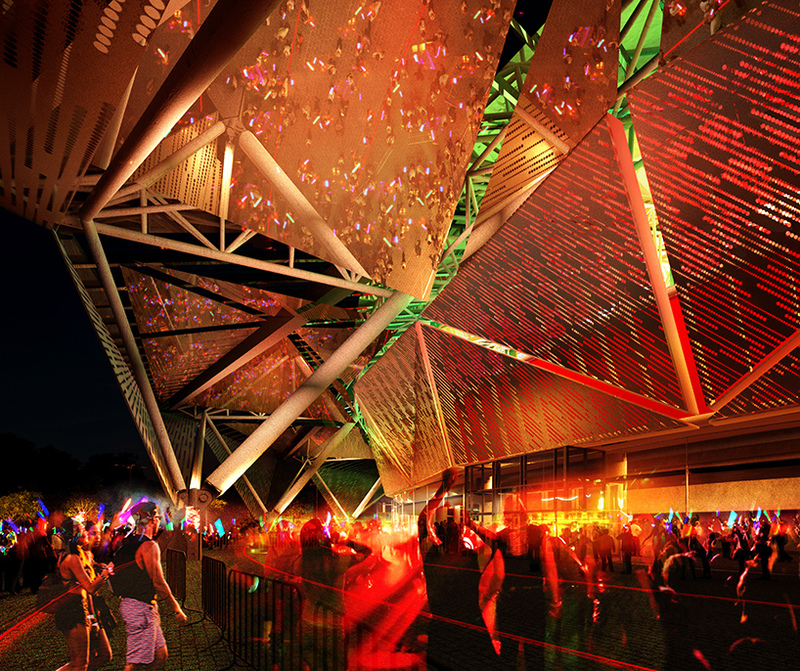 as one of korea’s most prominent cultural performance venues, the building’s architecture, and its location within the olympic park, has a significant cultural importance. 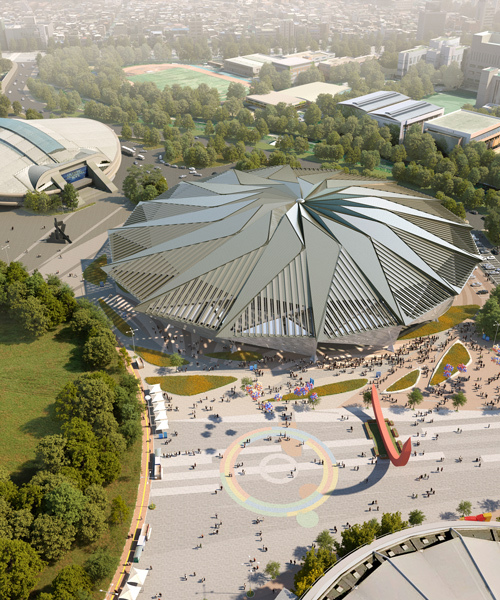 as well as representing the legacy of the 1988 seoul games — an important event in modern korean history — the site is situated within one of the city’s largest public parks, accessible to a wide range of visitors. the arena is being renovated with the intent to establish a new identity for the building, while preserving its historical significance. the design by HAEAHN and H architecture minimizes construction by reusing a majority of the existing structure. the circular gallery surrounding the outer edge of the building has been expanded to accommodate a wider range of retail and event-related programs, and prepare the facility for any future expansion. much of the renovation is focused on the roof structure, which has been replaced with a dynamic truss system that references the form of a tornado.